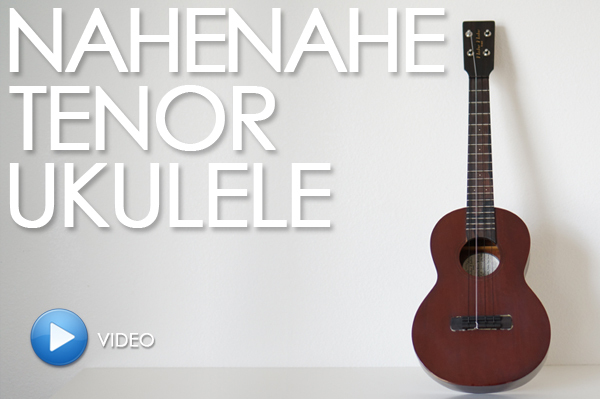 Nahenahe brand ukuleles were made by luthier Paul B. Petersen. 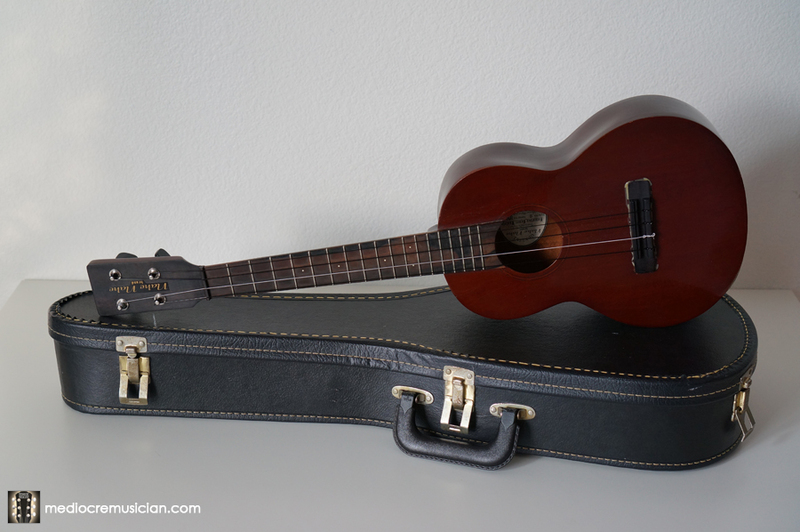 He and his wife Pam sold them out of their Kahului shop, "Maui Ukulele" from 1993 until 2000. 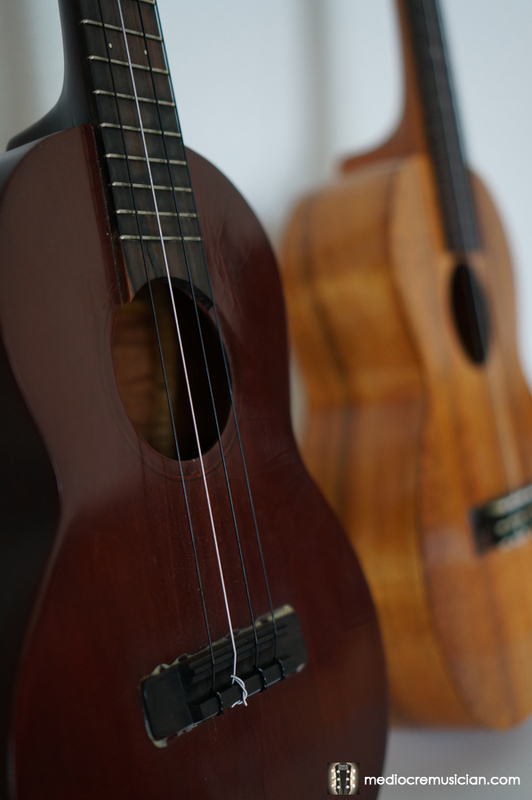 In 2000, they decided to close shop and pursue their musical careers (also due to the influx of new, cheaper, competing brands, such as Mele Ukulele). 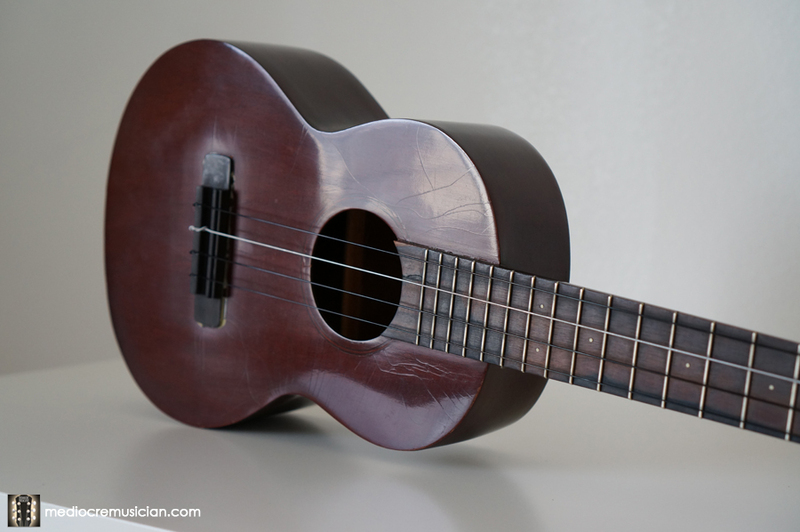 As a kid, I remember ogling all of the beautiful ukes in the shop, and was very fortunate to get one from my parents for Christmas. 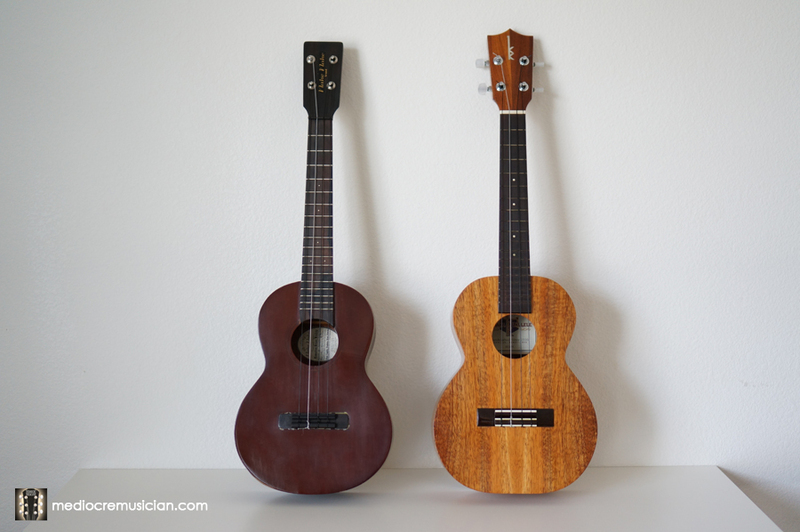 Up until that time, most ukuleles looked the same, color-wise. (They were either made of koa or cheaper woods with a similar shade of brown.) By contrast, the "dark cherry" colored mahogany of the Nahenahes was something I'd never seen before, which made it appealingly unique. 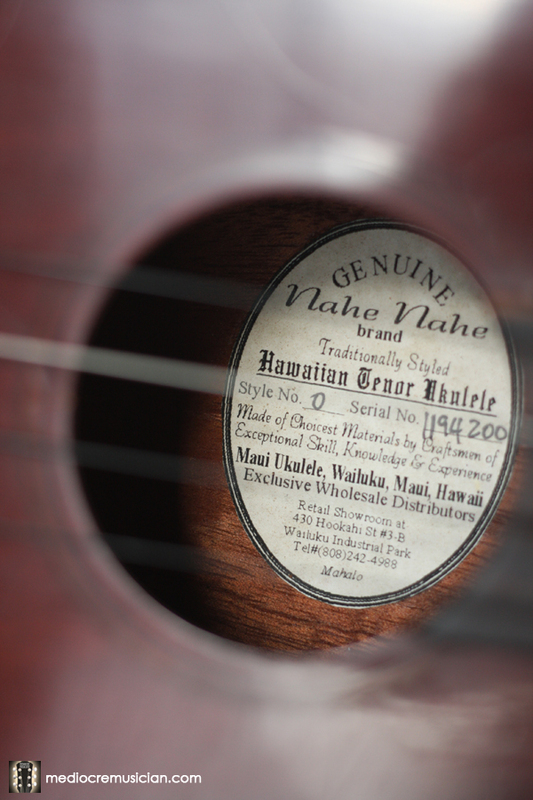 The Nahenahe brand and the designs and details of their ukuleles evolved over time. 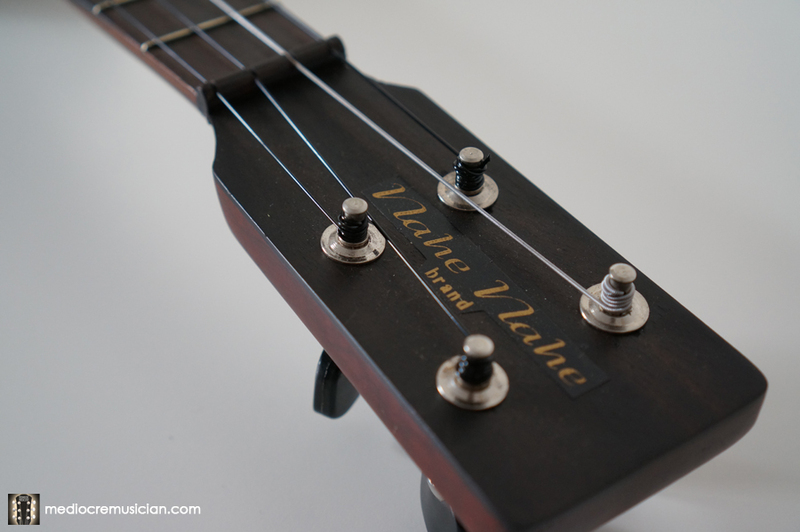 The first-generation ukes featured a decal on the head, before fancier inlays and engraving were introduced. The brand name at the time, was also spelled with two words, "Nahe Nahe", before eventually changing to one word, "Nahenahe". 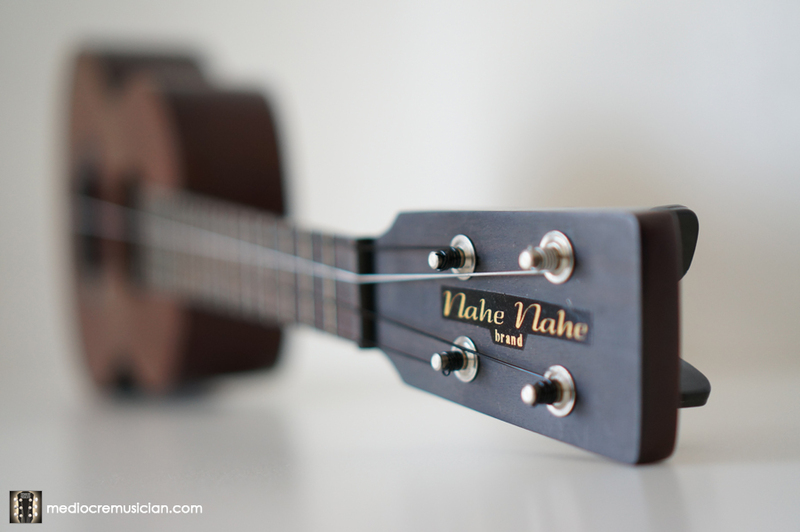 The Hawaiian term, nahe nahe means "soft and sweet", a very fitting name for the mellow tone of this ukulele. 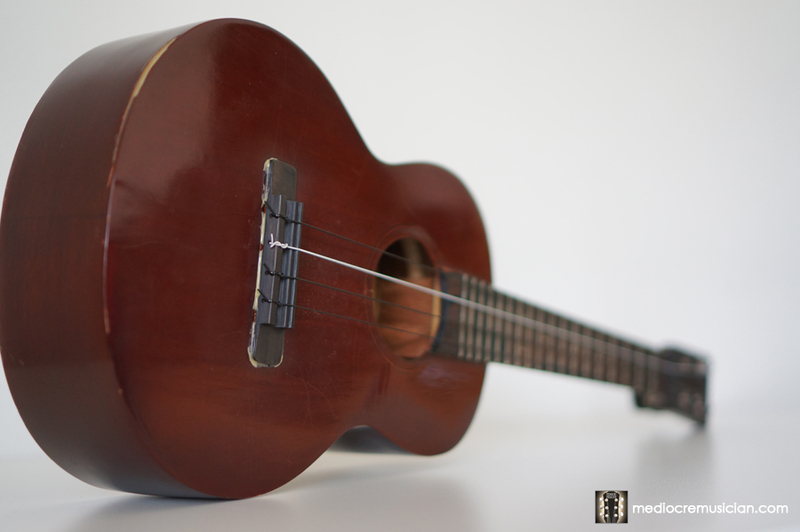 This uke has been through a lot in its 20+ years. It survived being carried around in high-school, taken to the mainland for college, and several apartments, so it's not without a few battle scars. Several years ago, I heard a loud "POP" under my bed. I pulled out my uke case, and opened it up to find the bridge had completely ripped off the body. Not knowing any better at the time (and not having a lot of money), I did some "DIY luthiering" with some wood glue to reattach it. (I also sealed the cracks at the bottom.) It's not pretty (and I probably lost some sound), but I've been playing it ever since without a problem! 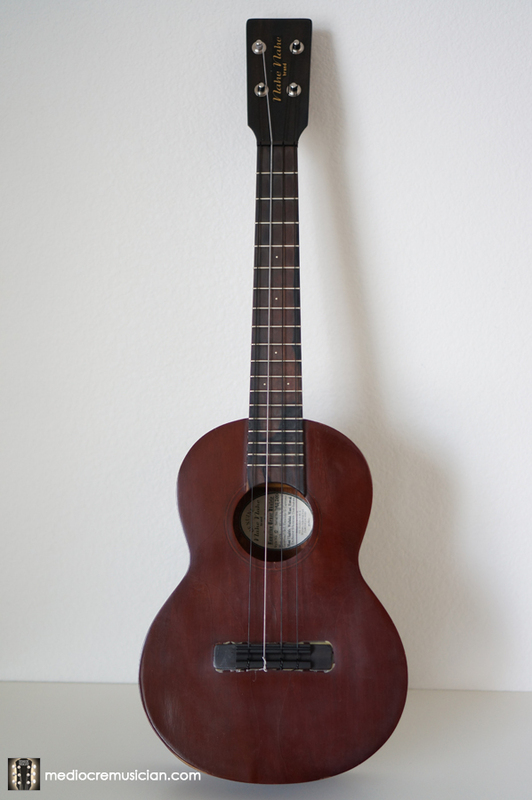 This was my first uke, and I still play it today. (It's usually the one I take around if I'm feeling overly protective of my Kamaka.) I even still have the original (cheap) case it was bought with!